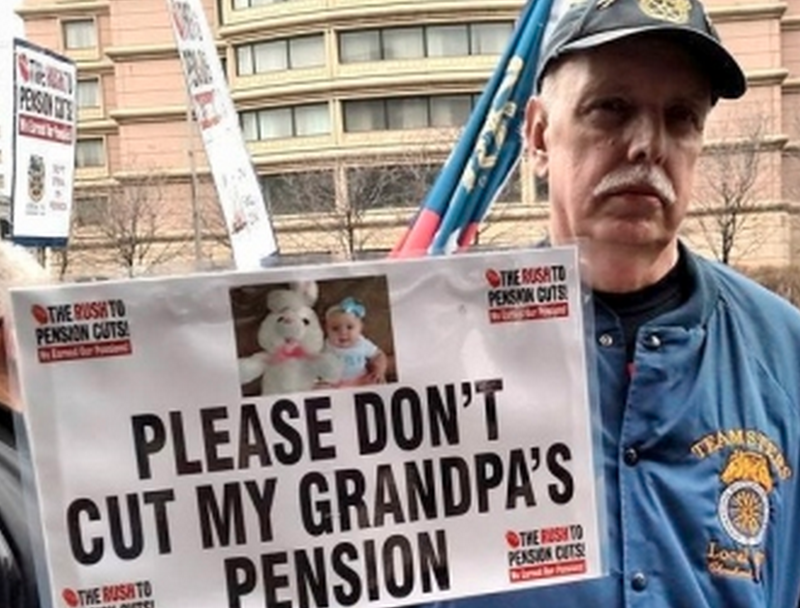 Teamsters is telling its members in the Central States Pension Fund, which accounts for 410,000 current and retired members, that their pensions benefits will have to be cut. It is apparently necessary to cut the workers pension because the union was careless in handling the account funds. The union had increased the monthly dues paid by members, from two times their hourly wage, to two and a half times their hourly wage. But it appears this money was not used to care for the union pension. A part of the money certainly went to pay the salary of executive director of Central States, Thomas Nyhan, who made $662,000 in 2013. The union also continued to use large sums of money to lobby their favorite politicians, disproportionately Democrats. In unions, the bosses are protected, the politicians are protected, but the workers suffer. Teamsters has spent nearly $13 million lobbying Congress since the recession, including over $2 million in 2014 alone. A portion of this money was spent to change the 1974 ERISA law which in part prevented the pensions of retirees from being reduced. Congress did just this with the Multiemployer Pension Reform Act, which was tacked onto the “Cromnibus” appropriations bill in December 2014. The act allows any multiemployer pension funds that are projected to run out of money within a couple of decades to cut pensions for retirees, after a vote of the beneficiaries. Of course, the vote is not exactly fair. For starters, the mailing ballot would include five statements in favor of the cuts and only one opposed to the cuts. Also, a failure to vote is counted as a vote in favor of reducing the pension. Even if the “no”votes carry the day, the Secretary of the Treasury can override the vote and impose the cuts anyways. What must be remembered in all this, is that these cuts would affect real people who have worked for, and depended on their pension for retirement. Some have even taken pay decreases from employers or foregone raises to protect their pensions. Some retirees are seeing their monthly pension drop from $3,000 down to $1,200. As a result, some are wondering if their retirement may be short-lived as they consider reentering the workforce due to their limited pension. The unions have let these people down by mismanaging the pension fund. If unions do not exist to care for and protect workers, why do they exist? From this example, it seems they work to line their own pockets and funnel money to their favorite politicians.